This is Stock Car Racer and Hollywood Stuntman, Stanton Barrett’s, first attempt as a Director and of all the safe options he could go for he plumbed for a straight forward US Military against viral zombie outbreak offering. 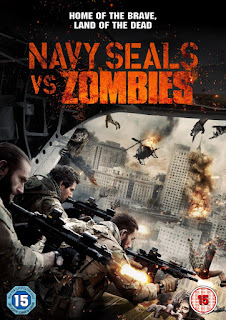 Set in Baton Rouge, Louisiana a crack team of Navy Seals are sent to firstly rescue the Vice President from a building overrun by a rabid horde of flesh eating zombies who are rapidly increasing in numbers. After this rescue attempt, with the addition of a tag along reporter and camera man who want the story as their exclusive, they are then sent on to a lab nearby to retrieve a scientist and her potential cure for the virus. Will this vaccine be the cure or is the cure already amongst them? Sound familiar? 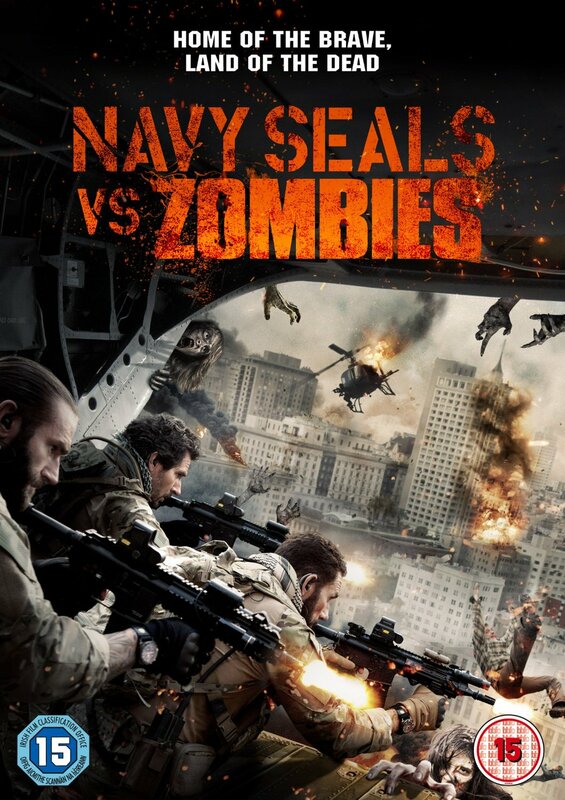 It’s a fairly standard plot to a very average, under whelming zombie movie really. Not meant to be humorous you cant help but not take it seriously due to the acting from the main characters and, especially, from the zombies who at times don’t seem to be too sure if they are supposed to be shuffling or running. At one point near the end where a horde of undead are beating on a door to get in, one raging zombie seems to break character and just opens said door normally then resumes zombieing and runs off down the corridor. I award one of the two stars I have given this film to the vast array of facial hair adorned by the majority of the male cast members in fact I became slightly distracted wondering just how many different styles of facial fuzz can be on the screen at any one time, aside from the wide eyed newbie AJ (Damon Lipari) and Commander Sheer (Michael Dudikoff) who instead donned some kind of dodgy scar down one side of his face. Everyone else had some kind of beardy thing going on! The other star goes to bungling security guard Larry (Charlie Talbert) who, as well as sporting some impressive mutton chops, is the only one who is supposed to be funny. Too much CGI where practical FX would have and could have been more effective lessens the appeal of some potentially great fight scenes. I’m not knocking this film entirely as it provided me with some giggles and some uncomplicated, easy to watch zombie action I just felt the delivery fell flat of the description on the box.